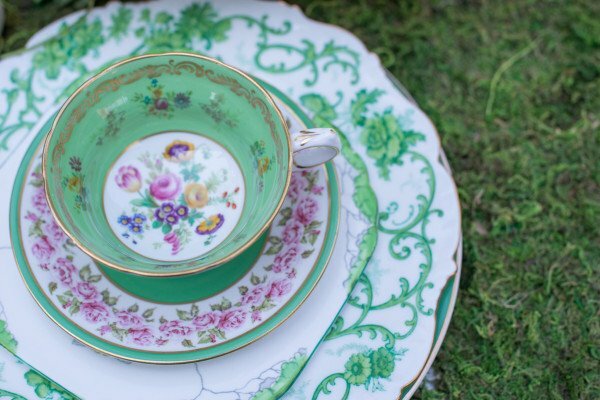 Featured today on Artfully wed this happy Tea Party themed Editorial inspiration shoot. 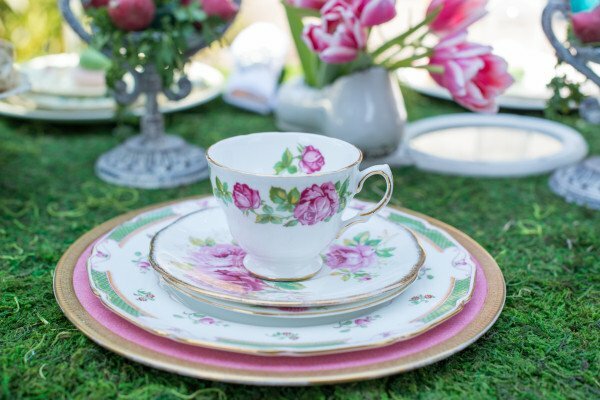 Southern Sophistication Designs created the concept and supplied most of the vintage props.She wanted a vintage tea party theme but with the twist of layers of whimsy and loads of fun. She started with one of her favorite models who shared her love of rockabilly style.She then sourced a knockout vintage dress which is both adorable and one of a kind for that special feel that every bride wants and indeed needs. Add to that the amazing shoesand a bright red lipstick and it was a done deal. Moving to the table she began with a layer of grass,as you do??? this made building layers of veg and flowers into a mad hatters tea party theme not hard at all.My favorite touch are the radishes,glistening in the sun, who does that? and makes it work!! 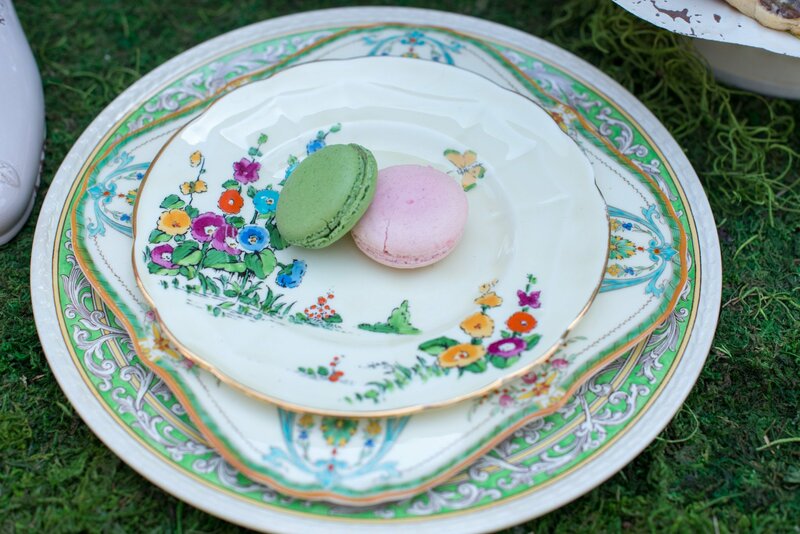 We built on the theme by adding layers of vintage fine china in shades predominantly of green but with floral inspired colors to highlight the theme.A touch of softness came from the macaroons, light and airy and delicious, as we can all vouch for!! 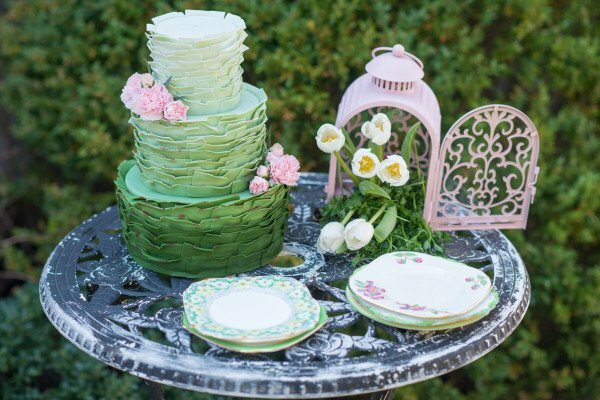 For the cake table with inspired cake created by The Posh Cakery was placed with vintage fine china cake plates and a little pink bird cage full of blooms. Divine! Glorious Summerour Studio provided the venue,an Italian style sun porch.This was steaming this particular day but we kept our cool by watching our heavenly model not break a sweat! 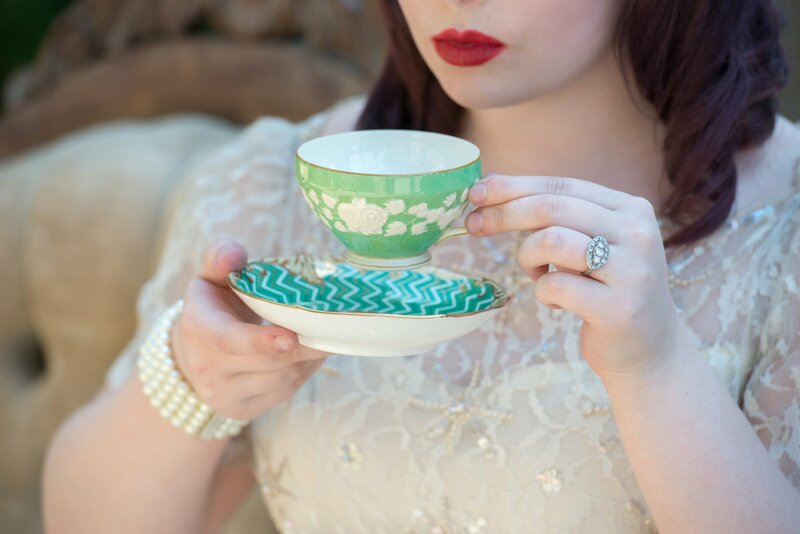 she truly loves a Tea Party and the shot of her drinking from one of my favorite tea cups is a dream. 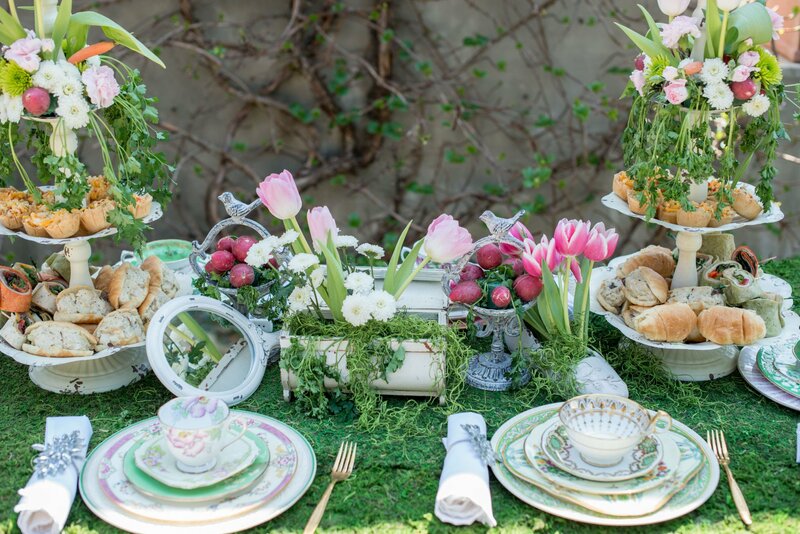 A truly English eccentric Tea Party fit for a Queen,Our photographer julieAnne captured it all beautifully,hope you enjoy!